Guitarmania says: “Out of This World,” is an all- instrument first offering of highly refined neoclassical compositions that delve into shred and fusion. This is a high-energy, up-tempo CD that is full of insane chops, high intensity, speed, and true improvisational moments. 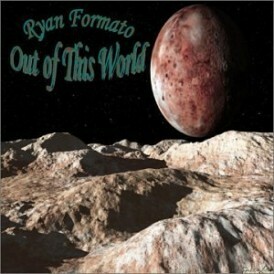 Guitar Lords says: “Out Of This World”, is no doubt a really explosive work on behalf of Ryan Formato for all those lovers of Melodic Shred. This CD was created when Ryan Formato was just 19 years old and turned out to be one of the best discs that I have listened to up to date. There are 12 tracks on this CD. Pure instrumental fireworks from the beginning till the end with beautiful and melodic ballads to wild rhythms with pure speed, intensity and real moments of delight with dramatic and passionate topics that simply are surprising. This disc won’t allow you to sigh for even a moment.